Our precious NHS is in critical condition and needs intensive care to survive. Photo © Clive Dellard. Pro-Remain campaigners from as far afield as Warwickshire joined our Pulse of Europe in Bath on Sunday, 8thApril. Speakers and street theatre highlighted the critical condition of our beloved NHS which is suffering from chronic underfunding and the threat posed by Brexit. The NHS will be a major casualty of Brexit. According to a report in the Financial Times last December, Brexit might well be costing us £340m per week, as opposed to the £350m gain advertised on the side of the big red bus. Additionally, there’s a Brexodus of EU health workers, with 18% of doctors making plans to leave and a 92% reduction in applications from EU nurses, which is a major cause of concern with 40,000 nursing positions unfilled. Our Pulse of Europe demonstrated our unwavering support for the NHS, as well as the creativity of the Bath for Europe team. 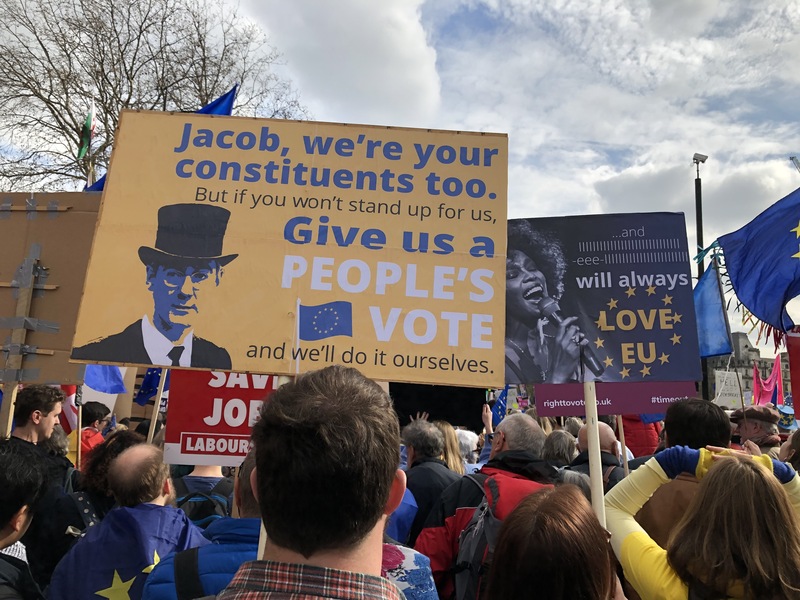 A crowd assembled in Abbey Churchyard at 2pm for short soapbox speeches and a theatre piece followed by a march through the centre of Bath with a massive EU flag, banners and placards. Cowbells and chants helped the marchers make a big impact on the Sunday throngs, many of whom snapped photos of the procession. Alison Born described the many challenges faced by the NHS. Photo © Clive Dellard. Alison Born, a long-serving NHS manager, outlined the many serious challenges facing the health service in her speech, from lack of funding to the loss of EU staff who no longer feel welcome in the UK, as well as other issues she analysed in her recent blog. All other approaches to NHS staff to speak at the event were declined, as individuals did not feel comfortable putting their heads above the parapet. Olivia Leydenfrost shared her perspective as an NHS patient and underlined the contribution made by EU citizens to all facets of the service. The comedy sketch saw the NHS in critical condition on a stretcher, suffering from a Hard Brexit. 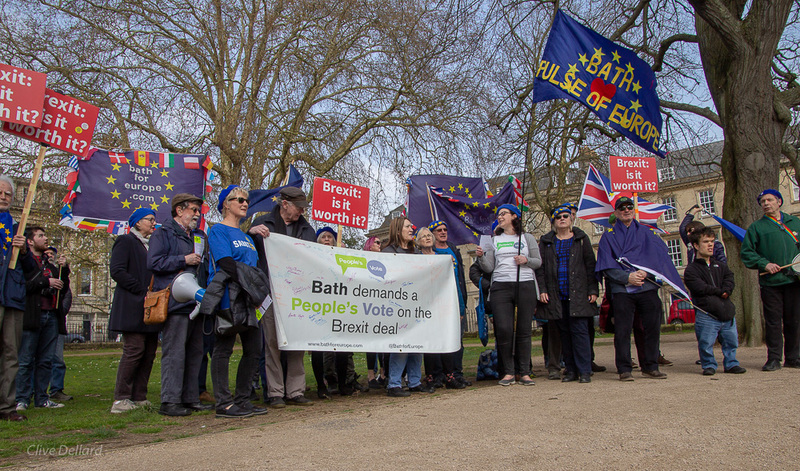 After the march through the centre of Bath, Sorina Stallard, who had journeyed with her husband from Warwickshire with their huge 10 x 7 metre flag, spoke passionately about the damage the threat of Brexit is having on the UK. A darkly comic sketch had the NHS as a patient on a stretcher. Photo © Clive Dellard. Brexit poses multiple risks to the health of the UK. British expats in the EU27 returning home will cost the NHS an extra £500m per year. Leaving Euratom will disrupt radiotherapy treatments. The European Medical Agency’s move to Amsterdam will hit our access to life-saving medicines and cutting-edge treatments. And a trade deal with the US could mean more expensive drugs as powerful pharmaceutical companies drive up prices and increase the NHS’s deficit. On the march through busy Bath. Photo © Clive Dellard. Sorina Stallard spoke with passion about the threat posed to the UK by Brexit. Photo © Clive Dellard. ‘Pulse of Europe’ is a pan-European movement celebrating the values of peace, democracy, tolerance and human rights in the face of rising populism. It originated in Frankfurt with thousands gathering at 2 pm on Sundays linking hands in a chain of support. 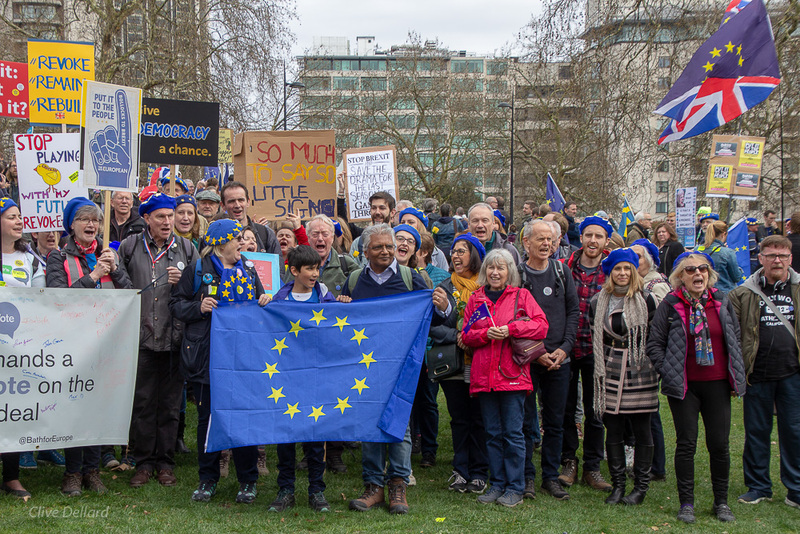 Bath for Europe was the first pro-Remain group in the UK to introduce Pulse of Europe, in March 2017. The movement has spread from Germany to France, the Netherlands, Belgium and now the UK where other cities, such as High Wycombe and Canterbury, have followed Bath’s lead. You know that thing you’ve been waiting for? It’s here!